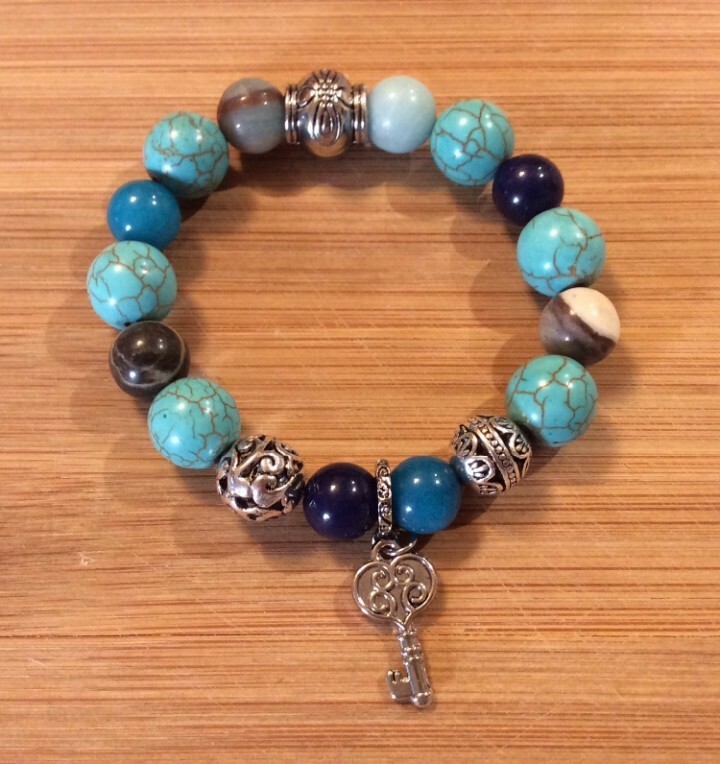 Handmade in Canada by me, pieces sourced from local suppliers, 7” Turquoise semi-precious gem stone stretch bracelet. 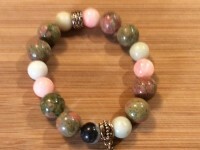 Made from turquoise with jasper, quartz and agate beads. Silverplated metal filigree beads, one with a cute heart shaped skeleton key charm. Mixture of 10mm and 12mm beads for great texture and feel. All orders will ship in 1-3 business days after cleared payment. Accept PayPal and Stripe payments. Orders will ship 1-3 business days after cleared payment. Most orders will ship Canada Post. Ship items 1 -3 days after cleared payment.